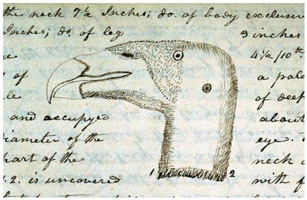 Sketch of a California condor wounded by members of the party on or around Feb. 16, 1806. "I believe this to be the largest bird in North America ... This bird fly's very clumsily," Clark wrote.